Barter Books : Cooke, George Alexander : Topographical and Statistical Description of the County of Hertford. London. : Printed for C. Cooke. 150 x 100 mm (6 x 4 inches) - 155pp + table of contents. 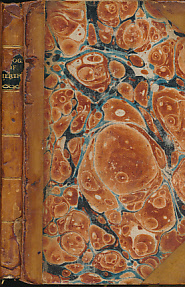 Half-leather cover with marbled boards. G : in Good condition. Rebacked. Browning within, impacting on map.